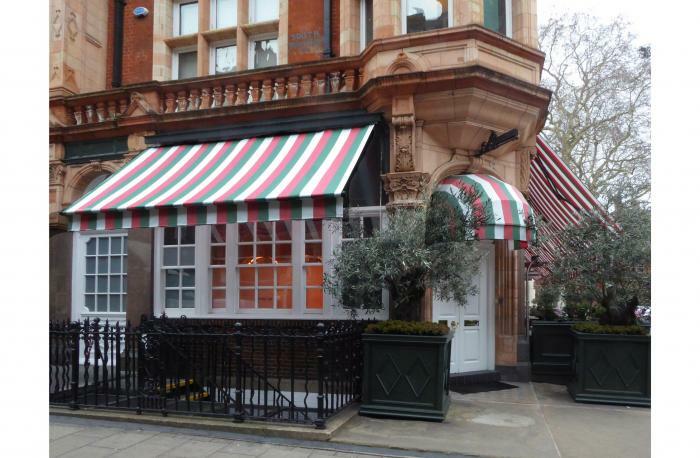 Bespoke awning manufacture is a specialist area of Morco's work and these awning covers at Harry's Bar on Audley Street, Mayfair are a fine example. The longer of the two traditional awnings is over 15 meters long and comprises five separate overlapping covers which we have linked use five individual rollers. The attractive small entrance canopy is in the "eyelid" style and is quite unique to this site having been manufactured using our all aluminium RIB® system of construction. 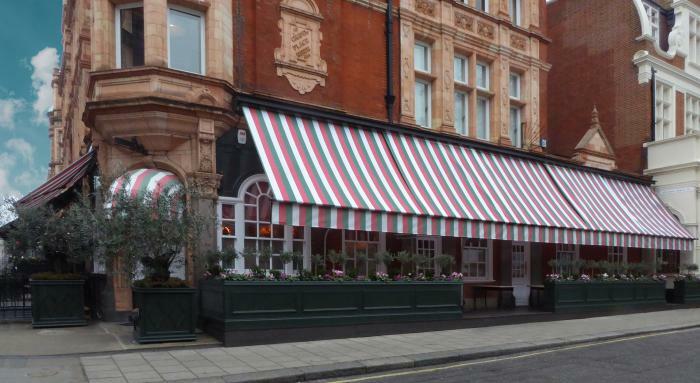 The special stripes on the awnings and canopy will also not be seen on any other restaurant as they have been decorated using our very own bespoke graphics system which is registered under the exclusive RAGS® brand. 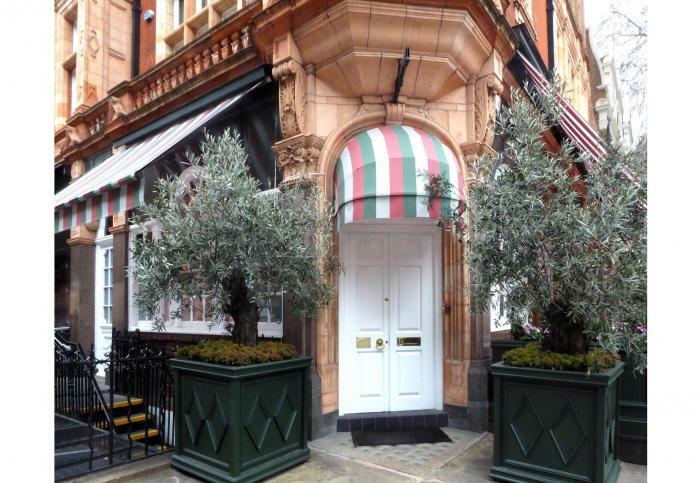 Harry's Bar is one of the most elegant and sophisticated private members' clubs in London. 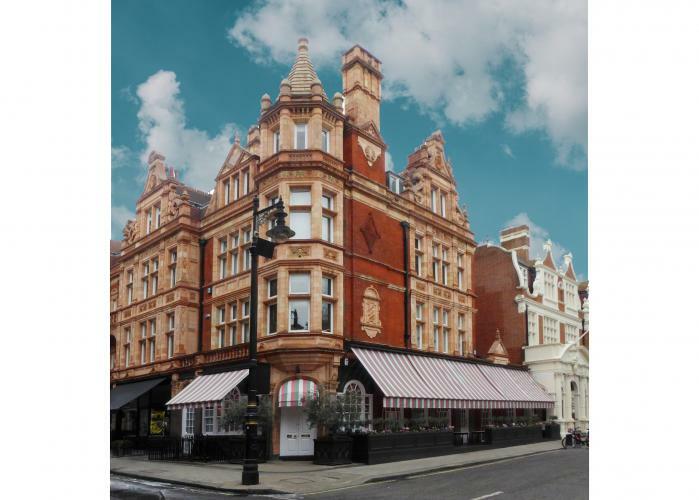 Harry’s Bar is famed worldwide for both the beauty of its décor and the quality of its food. Venetian chandeliers and Fortuny fabrics, Murano glassware and a polished wooden floor create an atmosphere of relaxed luxury, reinforced by the knowledgeable and attentive service.